Lopez McHugh is currently investigating lawsuits against the manufacturers of Osmoprep, Visicol, and other colon cleansers. OsmoPrep and Visicol are oral sodium phosphate products manufactured by Salix, Inc. (formerly InKline Pharmaceutical, Inc.). These products are used for colon cleansing prior to colonoscopy. They are the only colon cleansers available via prescription only. Although popular, they unfortunately have devastating side-effects, including kidney failure. Visicol was approved by the FDA in 2000. The first report of kidney failure linked to oral sodium phosphate use was published in September of 2003. Between 2000 and 2004, there were 21 cases of acute kidney failure at Columbia University linked to OsmoPrep and Visicol. This information was published in the November 2005 issue of the Journal of the American Society of Nephrologists. Because the renal failure was distinctly linked to the use of oral sodium phosphate products, it was referred to as acute phosphate nephropathy. The kidney failure caused by acute phosphate nephropathy is often permanent and may require chronic dialysis. In March of 2006, Salix added information to its packaging inserts about acute phosphate nephropathy. In May of 2006, the FDA issued an alert and science background paper for physicians. 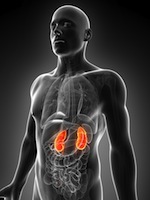 However, cases of acute phosphate nephropathy continued to be reported, so in December of 2008, the FDA required Salix to add a Black Box warning to its labels, the most severe sanction the FDA can give short of withdrawing the drug. It was not until October 18, 2009 that Salix issued a Dear Healthcare Provider letter, with the purpose of pointing out the new Black Box warning. The FDA has also expressed concerns about the use of over-the-counter colon cleansers such as C.B. Fleet Company’s Phospho-Soda, ACCU-PREP and EZ-PREP when used at higher doses. The FDA believes that these products should be available only by prescription. C.B. Fleet Company voluntarily recalled its over-the-counter products, and advised healthcare professionals not to instruct patients to use these products for bowel cleansing. But other drugs remain on the market. If you or a loved one suffered kidney failure or kidney damage shortly after using one of these products, then you may be entitled to compensation. Contact us today for a free consultation to discuss your case with no obligation.